Launched in early 2016, our project in Belarus protects and promotes the rights of children with severe disabilities and terminal conditions, as well as their families. Our local partner, the Belarusian Children's Hospice, is the only national children's palliative care service in Belarus, providing a comprehensive range of medical, social and psychological support to children and their families throughout the country. It strives to enable families to care for their severely disabled or chronically ill children at home, meaning they can avoid prolonged stays in hospital of months or even years. It aims to maintain the best possible quality of life for its patients, and create positive experiences during their brief lives which can be shared and enjoyed with their families. 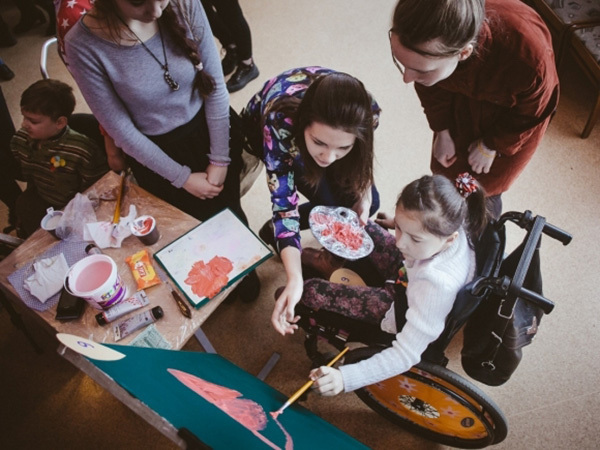 Our project further strengthens the capacity of the Belarusian Children's Hospice to develop its role as a leader in advocating for the rights of children with disabilities and terminal conditions at the local, regional and national levels. We have also developed and piloted an innovative model of a community-based advocacy service, which provides vulnerable families with disabled children access to legal advice and other support services in three areas of Belarus.